St. Joseph’s Villa is one of Ontario’s largest and most innovative long term care homes and community outreach centres in our community. Located in historic downtown Dundas, we are proud to continue the mission and legacy of the Sisters of St. Joseph of Hamilton and be leaders in compassionate care. 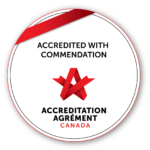 St. Joseph’s Villa has achieved “Accreditation with Commendation” maintaining our Accreditation status. A great success! Thanks to everyone who assisted in this accomplishment! Located in Dundas, Ontario, we are proud to be one of the provinces largest and most innovative long term care homes. The Villa is excited to expand our care for the community with the opening of our hospice in the fall of 2019. Located on St. Joseph’s Villa campus, St. Joseph’s Estates condos provide independent living and accommodations. 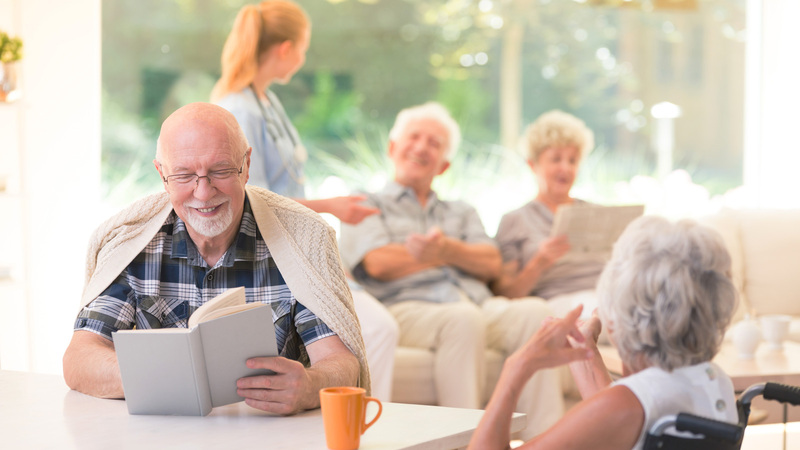 Click the links below to get more information on the St.Joseph’s Villa amenities and care services that are offered as well as information on admissions and how you can join our team. It’s a big decision to consider long-term care for you or someone you love. We are here to support you. Find out how we can help with our simple 4 step process! We have four unique, engaging group programs that aim to optimize each person’s physical, social, emotional and intellectual wellbeing. Located on the ground level of St. Joseph’s Villa in downtown Dundas, our warm therapeutic pool is open to community year round. Located on the second level of St. Joseph’s Villa in downtown Dundas, the Seniors in Motion (S.I.M.) gym is a fun, relaxed, state-of-the-art fitness centre for individuals 55+. Our medical clinics help us to meet the needs of our residents and seniors in the community. Clinics are barrier-free and fully wheelchair accessible. We offer challenging, dynamic careers in health care, nursing, business and administration for compassionate, health-oriented individuals. We’re located in Dundas Ontario.